Listed below are all of our Deer Valley and Park City area lodging deals, specials and packages. 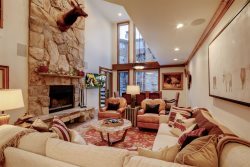 If you haven't had a chance to visit Deer Valley, Utah and stay in one of our luxury vacation rentals, then this is the perfect opportunity to try us out and save money! Bring your friends and family to enjoy skiing in the beautiful mountains, eating amazing food and exploring everything this area has to offer. Please call us at 888-640-3496 if you have any questions or if we can assist you in finding a special or package that works for you.